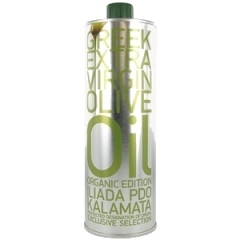 Greek Iliada Exclusive Selection Organic Extra Virgin Olive Oil. 500ml. 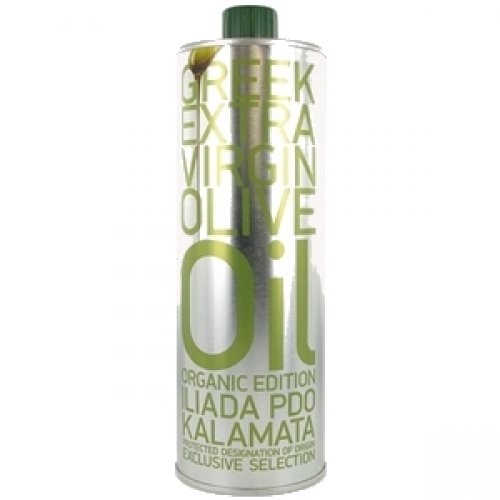 Home > Oils > Greek Iliada Exclusive Selection Organic Extra Virgin Olive Oil. 500ml. ILIADA PDO KALAMATA is first cold pressed and has a naturally low acidity of less than 0,4%. It is pressed from Koroneiki olives and from groves located on the slopes of the Taygetous mountains which run in the South Peloponnese, on the east side of Kalamata. The olives are harvested by hand from November to January and are cold pressed mainly in the traditional manner. Fruity with a mild taste of olives, ideal for salad dressing, grilled fish, white meat, raw sauces, pasta and vegetables. Rich in monounsaturated for your healthy diet. This olive oil is awarded the PDO (Protected Designation of Origin) mark, meaning that it is strictly produced and bottled in the geographical region of Kalamata. The Organic Line is produced according to the International Standards and regulations for organic farming (2092/EU) under the DIO'S Supervision accredited as per European and USDA standards. No chemicals are ever used, neither to treat the oil nor on the trees.